Many people have declared that if “He Who Likes His Name Too Much” wins they will be moving to Canada. And well… sadly he won. So this recipe is for those people who followed through and moved to Canada. Good for you! Why not? The people are delightful and sweet. The scenery is peaceful. I've thought about moving too. Have you seen their Prime Minister, Justin Tredeau? He's making many Americans swoon with thoughts of Canada. 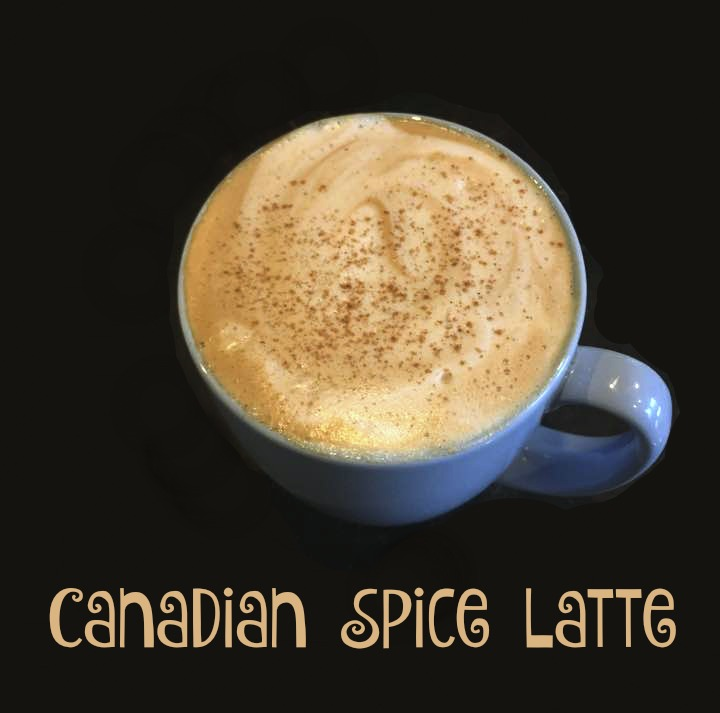 So today, in honor of Canada we bring you my recipe the “Canadian Spice” latte. It is a little sweet, a little sassy, and a safe retreat from the US and this craziness. Enjoy! 1. Combine ingredients, except milk, in your coffee mug and set aside. Around this time of year as I read blogs and other social media I come across friends in the USA and Canada spicing up their latte with pumpkin spice or Canadian spice. It’s just not done here (in Australia) from what I can see.